Dark and swarthy, Len Pascoe was the son of Yugoslavian immigrants (his original surname was Durtanovich) who would have won more than 14 Test caps had he not defected to World Series Cricket just as he was making his mark in Australia. A fast bowler with little subtlety but heaps of aggression (he regularly topped 90mph) he took 41 wickets at 21.78 on the 1977 tour of England – including 13 in three Tests – and in the hostile environment of WSC he thrived. He emerged as a genuine Test fast man, taking 5 for 59 (his only five-for) in the first innings of the 1980 Centenary Test and followed up with good home series against new Zealand (12 wickets) and India (16) in 1980-81. But he was increasingly troubled by a knee injury, and he opted to miss the 1981 tour of England to try to get it sorted. Len returned for one Test against West Indies in 1981-82 but was not as effective as he had been although he did take four wickets. 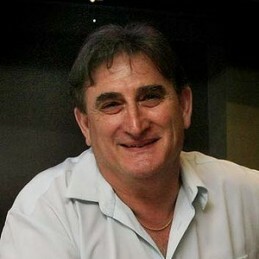 On retiring he had a spell coaching New South Wales and subsequently ran Len Pascoe Sports Entertainment. Pascoe, who once famously noted that “a tiger never changes its spots”, was also a schoolmate of Jeff Thomson at Punchbowl Boys High and the Bankstown Club: imagine coming up against those two in a school game.